Defense attorneys for confessed terrorist Anders Behring Breivik have confirmed that former guerrilla leader Mullah Krekar and anti-Muslim blogger Peder Jensen, better known as “Fjordman,” are among the roughly 35 persons they’re calling to testify during Breivik’s trial. The goal is to prove that Breivik, like Krekar and Jensen, is driven by political ideology, not insanity, and therefore can be held responsible for his attacks. The main question facing the Oslo City Court is the state of Breivik’s mental health, and whether insanity led him to bomb Norway’s government headquarters and then carry out a massacre at a Labour Party summer camp. Breivik killed 77 persons in his attacks, tried to kill hundreds more and caused billions of kroner worth of damage that will take years to repair. He’s already been declared insane by two court-appointed psychiatrists but controversy over that decision, which could allow him to avoid jail and instead be committed to mental health care, led the court to seek a second opinion. Their evaluation is due next week. Prosecutors have seemed willing to accept the insanity ruling as have many others, to explain how a white, middle-class son of a Norwegian diplomat could do what he did. It’s been otherwise difficult for many to accept that a Norwegian could so carefully plan and carry out such diabolical acts against fellow Norwegians. Breivik’s defense attorneys thus intend to show that there’s little difference between the sort of holy war or jihad that someone like Krekar defends and often promotes, and Breivik’s own war against Muslims. Breivik has said repeatedly that he attacked Norway’s Labour-led government and the next generation of Labour politicians because he held them responsible for allowing Norway to develop into a multi-cultural society that has allowed the country’s Muslim population to grow. Breivik, who claims he is sane and ready to be sentenced to prison for his attacks, has long espoused the same sort of anti-Muslim rhetoric as other right-ring extremists. He has said he was inspired by the blogger “Fjordman,” for example, and cited Fjordman no less than 111 times in the manifesto he published just before he carried out his attacks. “Breivik’s views on war between Islamic extremists and right-wing extremists are shared by many,” says his defense attorney Geir Lippestad. That’s why Lippestad and his colleagues want to question others about such a war, in court and under oath. He’s not sure the court-appointed psychiatrists have much knowledge about extremist views. Also due to be called in for questioning about conflicts between Islam and the west is Arfan Bhatti, an Islamic activist in Norway who’s been on trial in connection with threats against the Israeli and US Embassies in Oslo and for firing shots at an Oslo synagogue. Bhatti’s sanity hasn’t been called into question despite his inflammatory rhetoric and criminal record, nor has Krekar’s. 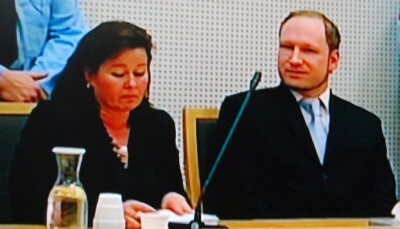 Breivik’s defense counsel has opted to concentrate its strategy on proving Breivik sane, in line with Breivik’s own wishes, and also will summon noted Norwegian psychiatrist Randi Rosenquist, who has criticized her colleagues’ earlier insanity declaration. 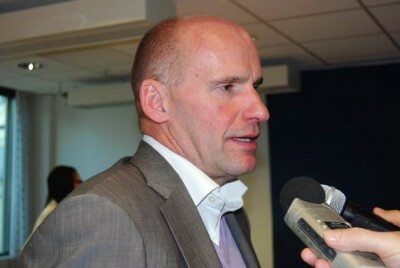 Breivik’s defense attorneys have opted against basing their strategy on Norway’s lack of preparedness and poor security at both government headquarters and the Labour summer camp, which failed to prevent Breivik’s attacks.